Black Mail posts historical facts, quotes, and events to inspire, educate, and uplift! Thank you so much! Bell Hooks was a phenomenal woman, indeed. She brought her childhood recall of education in these ‘United’ States into my consciousness so vividly. Her words and her work as an educator extraordinaire must be continued to be told until they are heard, understood and recognized as still so relevant today. God Bless You for this one! Certainly, there are many, many more quotes and book excerpts to continue this journey of enlightenment. I am so excited that you have chosen to showcase this woman, so filled with ‘truth’s! Her quote was so moving to me! It gets at the heart of much of our work with individuals, children and families. Many of our families (many of who have matriarchal leadership) are masters of “endurance” and “resilience”. Overcoming, just as the quote suggests is an entirely different story. The quote for me was a profound reminder that the goal is to “overcome” not merely to endure. Sometimes “systems” can be designed to facilitate endurance and resilience rather transformation. 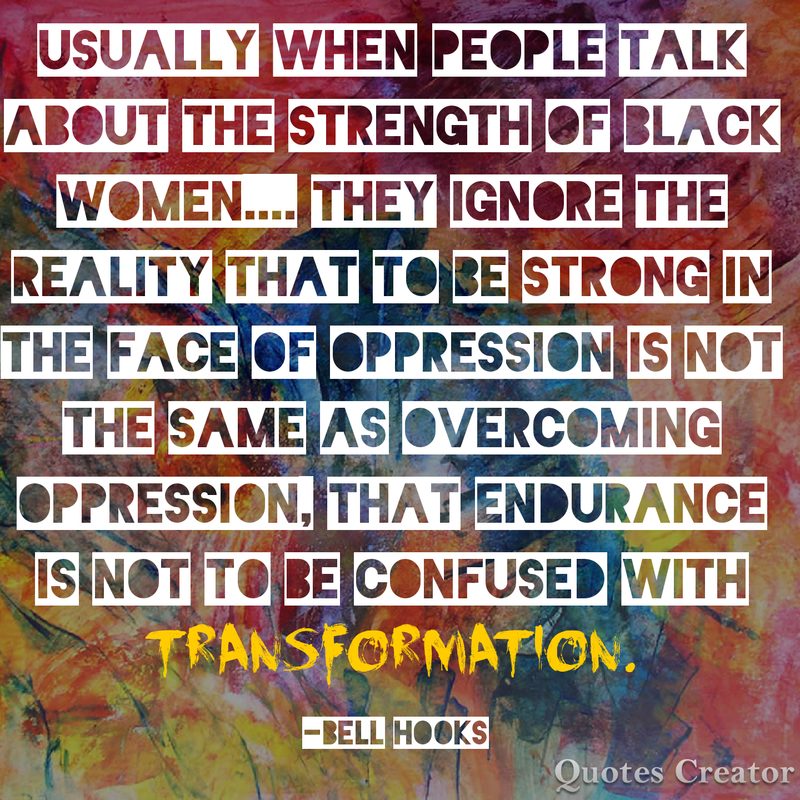 Bell Hooks definitely was on to something with this quote! Thanks for sharing your thoughts!